The Juris Doctor (JD) is an internationally recognised, three-year postgraduate qualification that opens up a world of possibilities. Following completion of an undergraduate degree, the JD leads you to a career in legal practice. You can pursue a JD at UWA after completing a bachelor's degree in any discipline. UWA's Law School is the fifth oldest in Australia and ranks in the top 100 law schools of the world, according to QS World University Rankings by Subject 2016.
have the opportunity to participate in practical skill-building programs, such as the Philip C. Jessup International Law Moot Court Competition, the world's largest of its kind. 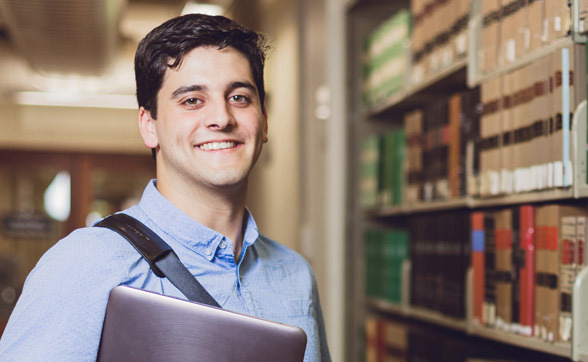 You can study law (via the Juris Doctor) by completing a bachelor's degree after high school. You also need to complete your studies with the equivalent of a Grade Point Average (GPA) of at least 5.5 (out of 7.0), across all completed tertiary studies. Applications will be ranked based upon the GPA score, weighted equally. Admission will be awarded to the highest ranked applicants who fall within the intake quota for that year. Completion of a UWA bachelor’s degree with a minimum GPA of 5.5.